NOW PET FRIENDLY! 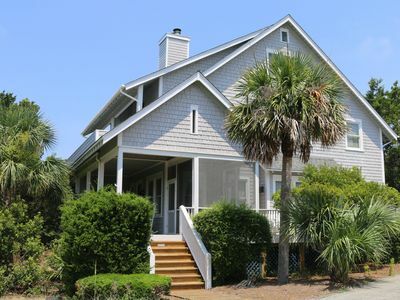 "Buck Stops Here" - Relax and breath in the salt air from the ocean facing front porch of this 2nd Row home on the West End. 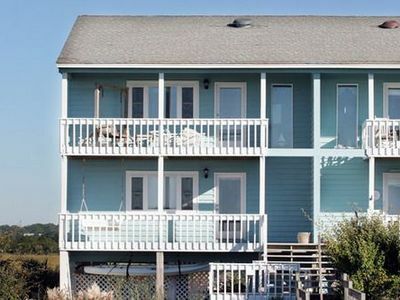 This 2nd row home is just steps away from the white sands of Holden Beach. 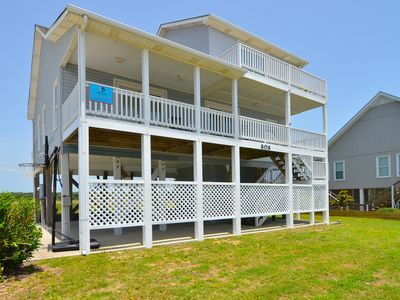 This lovely 4 bedroom / 2 bath home has an open living room, dining and well equipped kitchen. 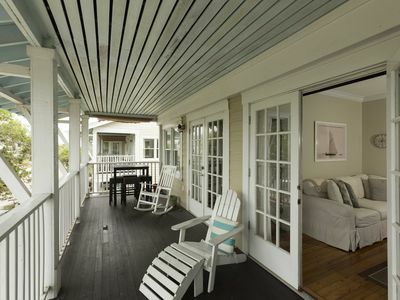 Sliding glass doors lead to a nice ocean facing rocking front porch. 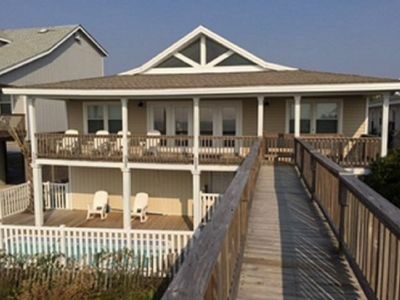 Take in the ocean breeze, sunrise and sunsets while relaxing with your favorite beverage. 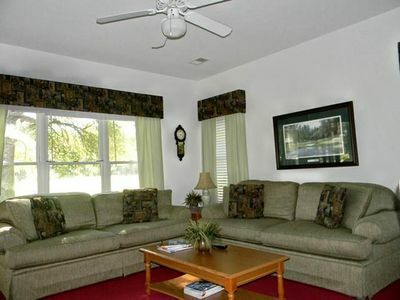 Vaulted ceiling in the comfortable living room area. 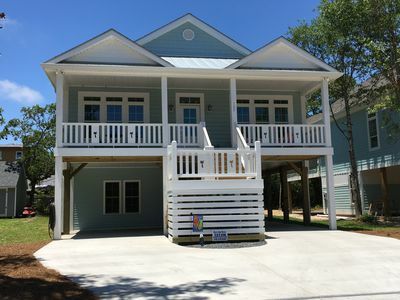 2 Queen bedrooms are located downstairs with a shared full bath. 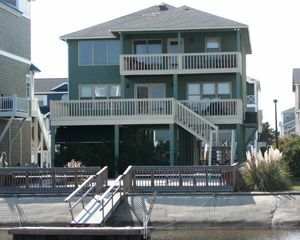 1 Queen bedroom, and 1 bedroom with 2 twins beds and a shared bath are on the upper level. Washer and Dryer is located on the first level. 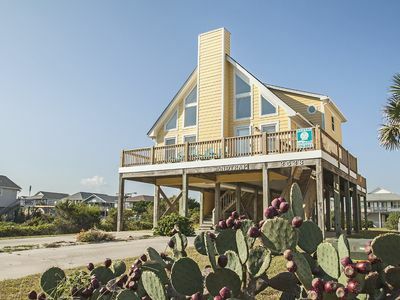 Wifi, cable, and smart flat screen tv's. 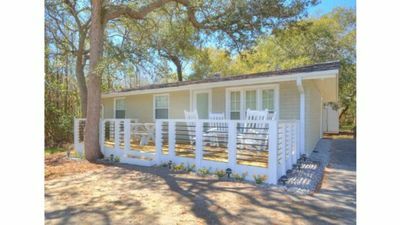 Outside offers under house and driveway paved parking, outdoor hot/cold enclosed shower, basketball goal, fish cleaning station, park style charcoal grill and a nice level yard. 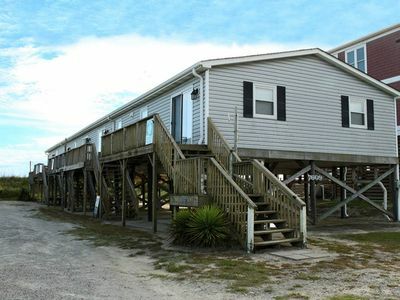 This home is very comfortable, clean, affordable, and is just steps away from the beach. 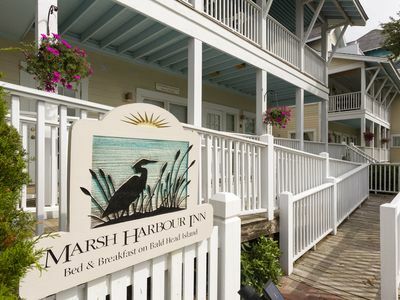 Enjoy watching the boats and various coastal wildlife from your rear deck overlooking the marshlands and the beautiful Intracoastal Waterway. 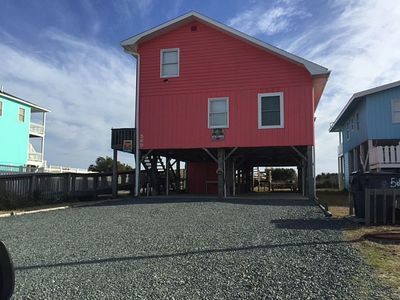 "Buck Stops Here" acquired its name from the abundance of deer witnessed from this home, grazing during low tide. 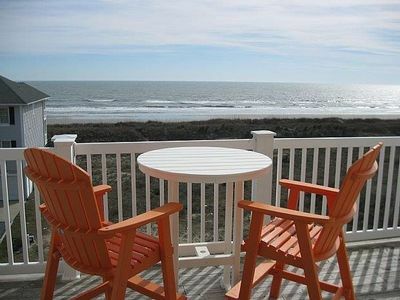 Don't miss this coastal summer vacation bargain on Holden Beach with breathtaking views all around! Pet Friendly: $250 Non-refundable pet fee applies for up to two dogs. Guests must crate pets when they are left in the home unattended. Have You Tried Six on the Beach ? 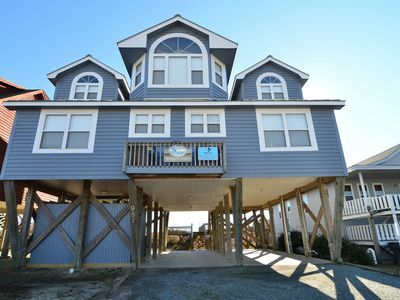 Experience "Bumbles Beach " with spectacular, unobstructed views of the Atlantic Ocean from this 5 bedroom, 4 bath ocean front home! 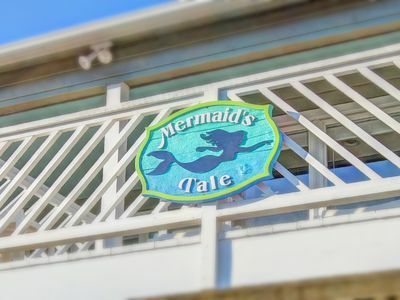 New for 2018 Dog Friendly! 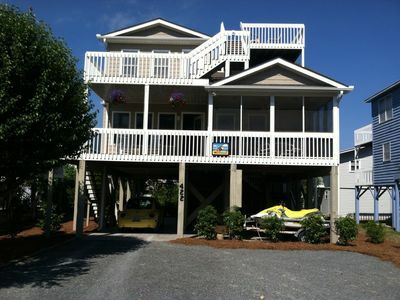 Sweet Tea is a 4 BR/ 3.5 BA Oceanfront Retreat! 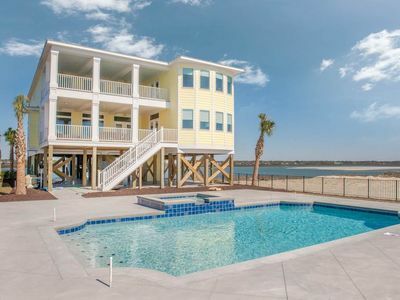 LELA 4 Concrete canal, 5 bedroom home, with lovely decor, only steps from the beach. 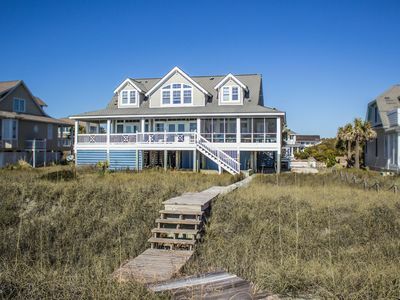 Fantastic Ocean and Marsh Views! 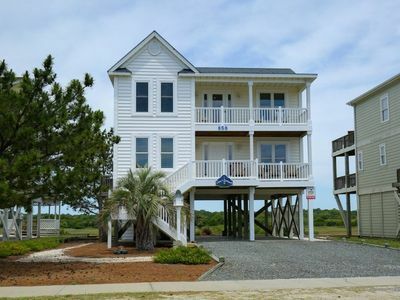 Luxury Beach Home - Stunning Views of Ocean & Waterway! 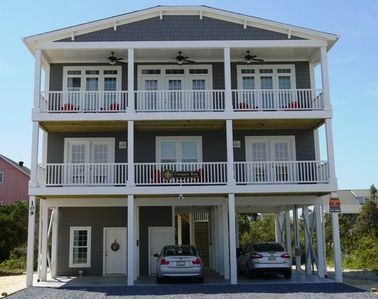 3/4 Time - Beautiful Oceanfront Views and Outdoor Living Space!